Every NFL coach recites it like it was proclaimed in the bible. Each NFL player is taught this answer in case some interviewer brings up the question. Don’t believe it for a second. “Injuries are no excuse.” If you’ve got any smarts at all, you know that’s not true. Injuries probably account for the unpredicted rise or fall of at least half of NFL teams in any given season. It certainly explains the mediocre performance of Mike Pettine’s pass defense in 2018. In 2017, the Packers finished 22nd in yards given up, and 26th in points allowed. Pettine fans, myself included, were expecting notable improvement this season. Instead, the team wound up 18th and 22nd respectively – not the ten-spot jump I was looking for. Statistics readily identify the primary reason for these small gains. 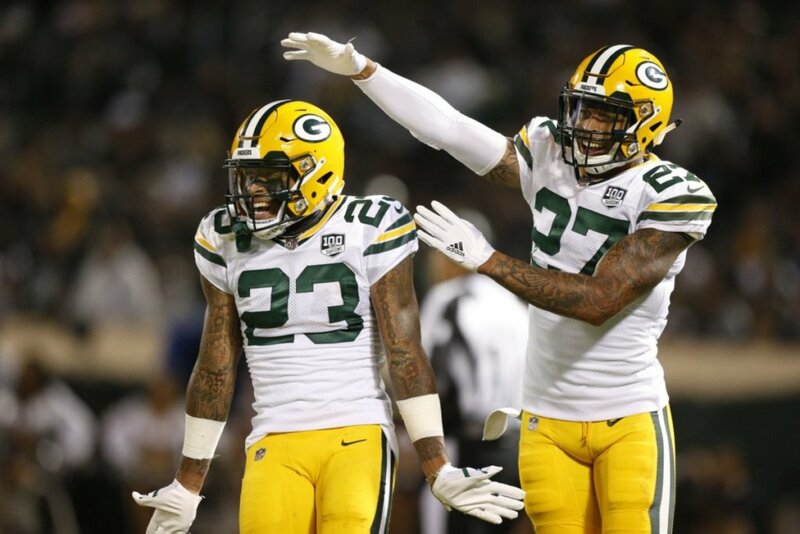 At the start of the season, the Pack had five safeties on the 53-man roster: Clinton-Dix, Kentrell Brice, Jermaine Whitehead, Josh Jones, and Raven Greene. The cornerbacks were Tramon Williams, Kevin King, Davon House, Josh Jackson, and Jaire Alexander. 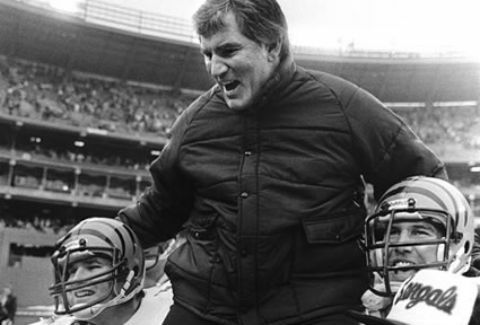 Ha Ha was traded away on October 30 – we were lucky to get a fourth-round pick from the Redskins. An NFL team can afford to lose one, or maybe two, cornerbacks or safeties for a good part of the season, and bring in reserves to be the next men up. Green Bay’s situation was much worse than that in 2018, especially at safety. 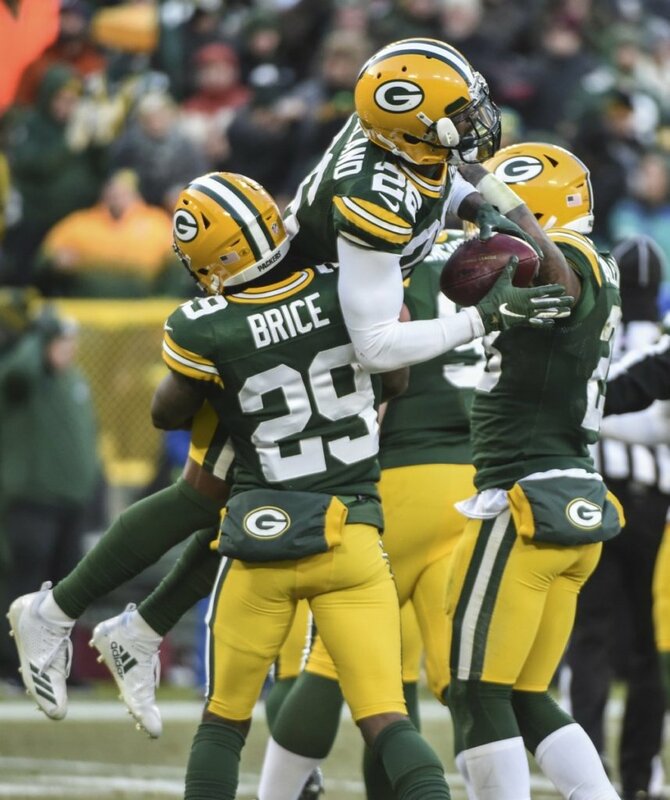 In terms of safeties’ snap counts, Kentrell Brice, though much injured, led the group by being on the field for 61 per cent of the defensive snaps. Trailing him were Josh Jones (47), Ha Ha (43), and Whitehead. Jermaine Whitehead was a primary fill-in, getting 21 percent of the snaps prior to him being ejected against the Patriots for slapping a guy in the face mask after the play. The Packers released him two days later, and he got some spot playing with the Browns the rest of the season. I’m okay with the sacking of Brian Bostick, and even with that of Ty Montgomery, but this one seemed harsh and unwarranted. Raven Greene, an undrafted free agent in 2018, started the season slated to be the primary safety substitute. Unfortunately he got only 43 defensive snaps on the season. An ankle injury sent him to the IR on December 8. By the way he edged out Marwin Evans for that final roster spot, with Evans going to the Seahawks practice squad for the whole year. The attrition of the cornerbacks was also high, though not quite as bad. Of all people, Williams took 99.5 per cent of the defensive snaps. House went down almost immediately, with a shoulder injury – and was placed on IR on September 25. Injury-prone King was injured early and often, then ended his season in Week 9 with a hamstring injury – he took 29% of the snaps. 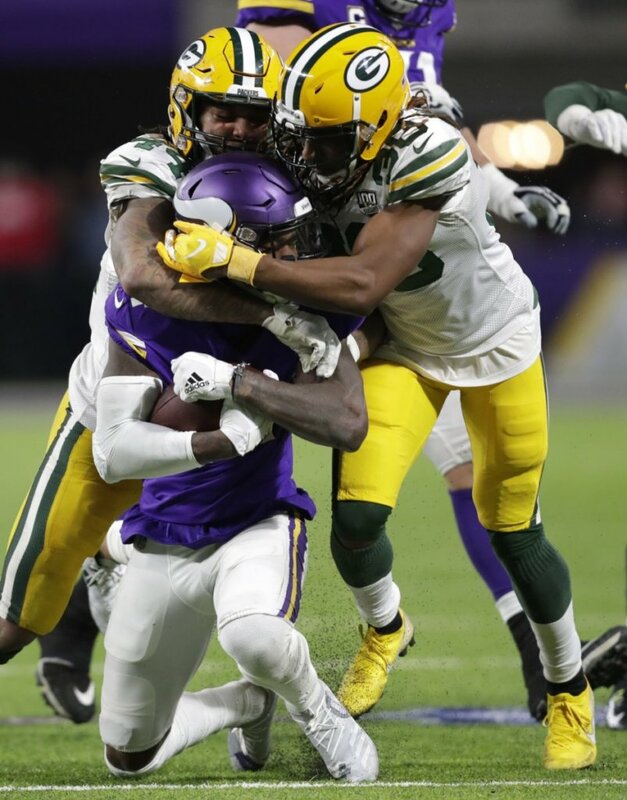 Jaire Alexander fought through injuries to play 71% of the snaps, and Josh Jackson went for 67%. In case you’ve forgotten, Davon House started the train wreck by going on IR on September 25 with a shoulder injury. One bright spot for the team was the signing of free agent Bashaud Breeland, a four-year starter with the Redskins, in late September. Breeland started five games, played on 31% of the snaps, had 20 tackles four passes defended, and two interceptions – including a pick-six against Matt Ryan. Without this pickup, things would have been much worse for the Packers D.
Tony Brown was another needed addition to the team. After starting the year on the practice squad, on September 29 he was brought up to the active roster. He wound up playing in 11 games, starting in three, and taking 27% of the season’s snaps. 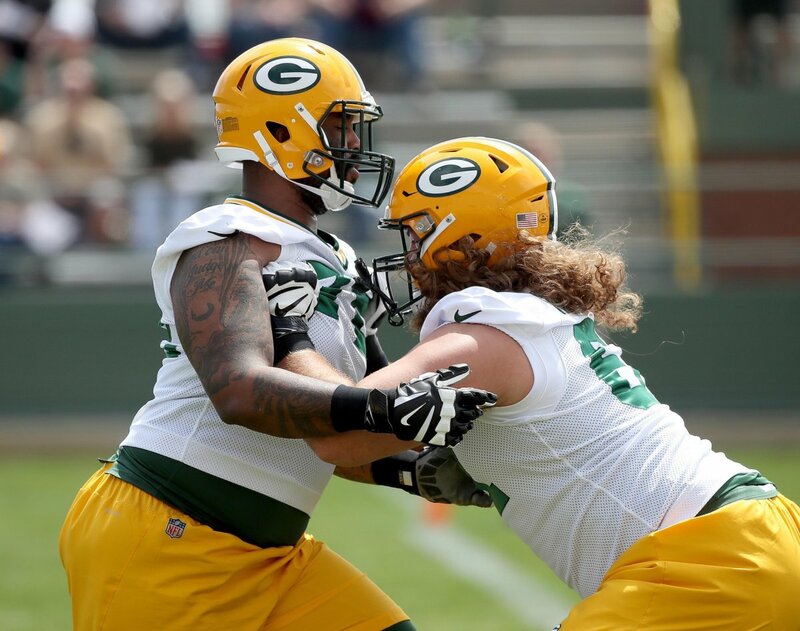 He totaled 34 tackles, five passes defended, and two forced fumbles – and that without the benefit of being at Green Bay’s training camp after he was waived by the Charges on September 1. Will Redmond and Natrell Jamerson were the 16th and 17th DBs who made the roster by season’s end. I’m pretty sure that’s the highest such number in the league. On the year, CBs House, King, and Redmond wound up on IR, as did safeties Green and Campbell. Many others played despite their injuries. By any measure, such a level of attrition is going to greatly weaken a team’s defense. Just to test out the theory that injuries to defensive backs spoiled Mike Pettine’s debut with the Packers, I looked at the four NFL teams with the best pass defenses in 2018. Buffalo had the year’s best pass defense. Its top four DBs played on 100, 95, 87, and 41 percent of the team’s defensive snaps. Next best was Jacksonville; their top four DBs had snap counts of 100, 98, 87, and 66 percent. Minnesota was third, with its top DBs coming in at 99, 74, 67, and 60 per cent. Arizona had minimal injuries to its DBs, allowing its top four to be in on 100, 99, 85, and 84 percent of the plays. Only Minnesota’s numbers were comparable to those of the Packers’ top four DBs (100, 71, 67, and 61). But the Vikes had four legitimate DB stars, three of whom stayed mostly healthy: Harrison Smith (99% of defensive snaps), Xavier Rhodes (74%) and Trae Waynes (67%). The fourth star, Andrew Sendejo, played every snap through the first five games, before a groin injury ended his season. Final thought. That Buffalo defense in 2017 was led by a guy they had just picked up for peanuts. He made the pro bowl that year, and he had another decent campaign in 2018: 58 tackles, five passes defended, and two interceptions. And – this acquisition has only missed one game in his six-year career! How different might things have been had the Packers not discarded Micah Hyde? LOL…..I caught a bit of the end of the Pro Bowl when i got home. Can this game be anymore of a joke? On a run play from Prescott to Elliot, the ref blew the play dead when a defender touched Elliott’s right arm, just touched it…play whistled dead. We also had offensive players playing defense. 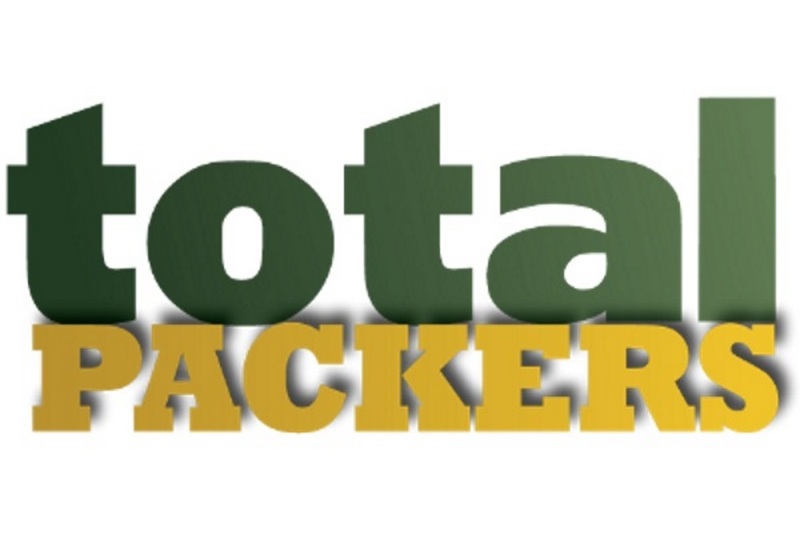 Now i’m not saying this game is run worse than the Packers organization has been run, But clearly, both are a joke. My only question is do they charge people for tickets to this game, or is it free? So anyway, a couple points i want to make on this article, of the two sections i read. It was noted that In 2017, the Packers finished 22nd in yards given up, and 26th in points allowed. In 2018 in Pettine’s 1st season, the team wound up 18th and 22nd respectively. So the writer explains they moved up 4 spots in each category, which is technically correct. 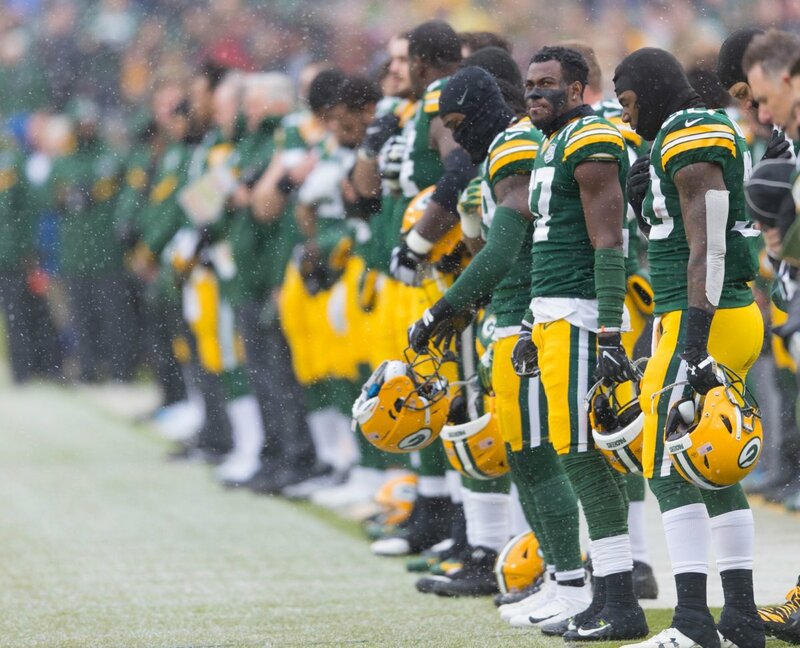 When you dig deeper, you’ll find that the 2018 Packers gave up more points per game, and more yards per game than they did in 2017. Does that have you scratching your head? Let me explain what happened, which is actually quite simple if you follow the NFL. There has been a shift to what was the normal concerning yards given up and points surrendered by the defense across the NFL. For example….. The 2017 #1 defense allowed 275.9 YPG. The 2018 #1 defense allowed 292.9 YPG. Now lets look at points per game. The 2017 #1 scoring defense gave up 15.8 PPG. The 2018 #1 scoring defense gave up 17.7 PPG. This also holds true on the higher end of the spectrum in terms of most points and yards yielded, as would be expected. The reason for this in my opinion is simply the new rule on hitting QB’s. You could easily see defensive players holding back. I’ll get to the cornerbacks at a different time. A few of you may know where i’m going with that, but we’ll see. Great observations. I don’t personally like the change. Unfortunately football is changed forever. The loss of Hyde hurt this team, no matter how much people tried to rationalize it away. The team says they’re looking for people to make plays and then let one who does walk. Then think about how the Packers used all the money they saved on Hyde to bring in Marty Bennett. For almost 20 years the Packers had a good safety on the team. Nick Collins was really the latest in almost two decades of good safeties for the Packers like Sharper and Butler, who was a converted corner. Maybe even throw Chuck Cecil in there. Honestly, I don’t think the Packers have taken that many safeties with a higher pick since Collins in 2005. And those they did use a high pick on didn’t do well. Aaron Rouse was a complete bust, Morgan Burnett was serviceable, Clinton-Dix was a head case, and Josh Jones looks like he’s a another bust.